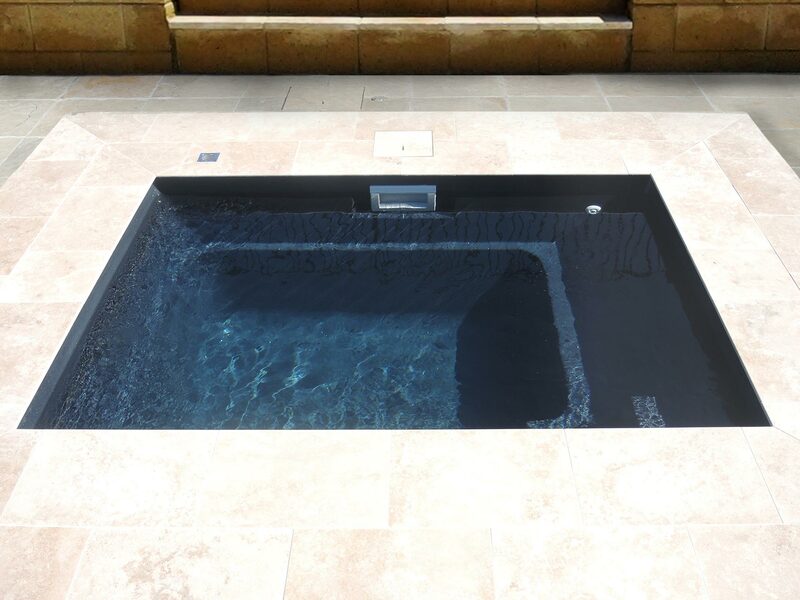 The Fiji Plunge is Leisure Pools newest addition to its Plunge Pool range. 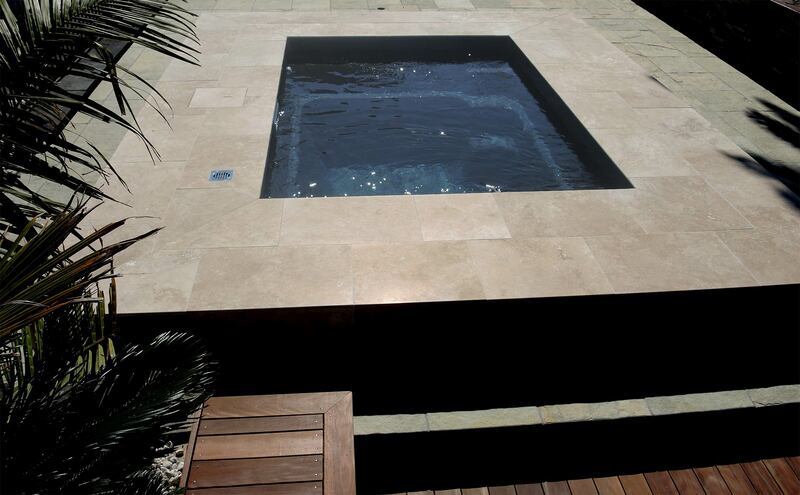 The Fiji Plunge is the perfect pool for a small space. It is a beautiful pool with a formal design and a long bench down one wall allowing you to sit and relax. 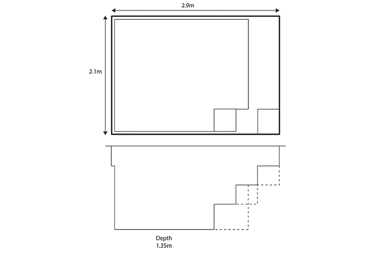 The bench is perfect for the addition of spa jets to enjoy the benefits of rushing water on your body. The Fiji Plunge also combines a deep and generously sized wading area to cool down on a hot day. 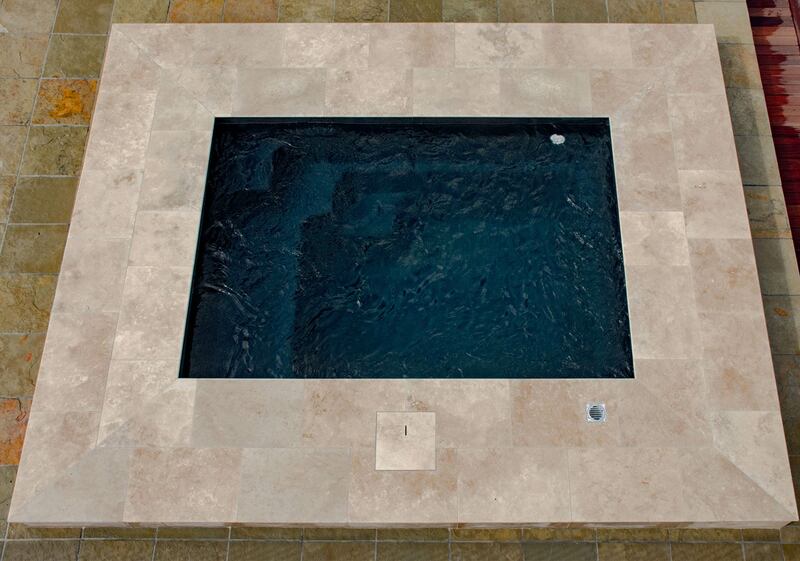 The perfect social pool to chat with friends and family and to relax and enjoy the benefits that only water can provide. 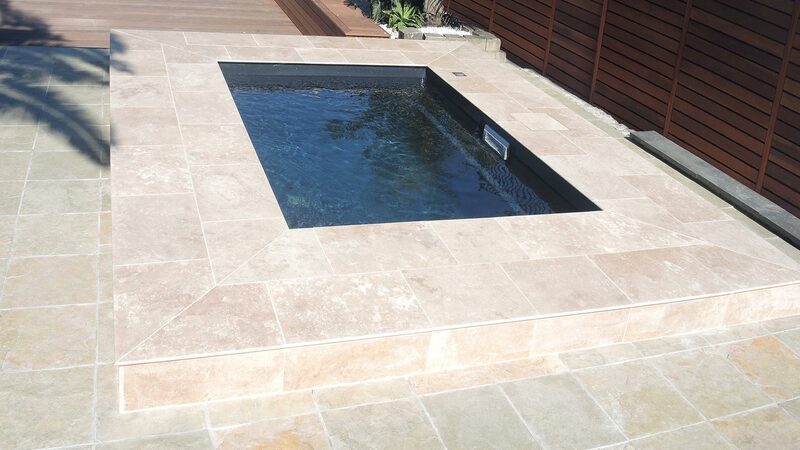 The Fiji Plunge’s perfect compact size will fit in just about any size backyard and the bench seat allows the pool to be installed very close to your house or boundary fence. Please enjoy our latest plunge pool the beautiful Fiji Plunge.